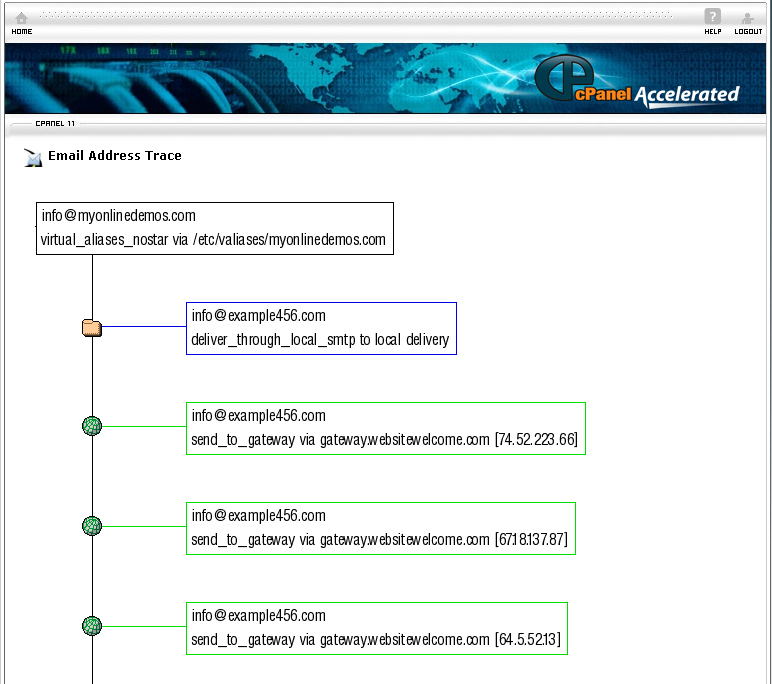 On the homepage of your cPanel account, click Email Delivery Route under Mail. Enter the email address on your server to show how the mail server will deliver mail to that address. If you enter an email address that is on another server, it will show how the mail server will attempt to deliver the message to that address. After you have entered an email address, click Show Route. You will be able to see the email route on the screen.